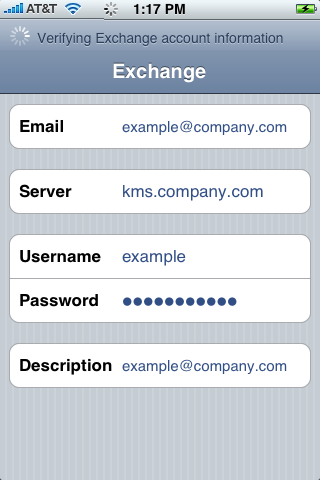 Sync Contacts and Calendar with iPhone and iPad via ActiveSync. 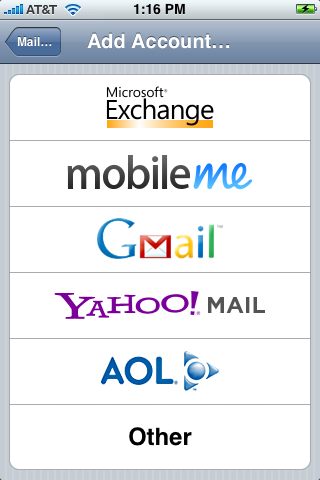 ActiveSync is a Device and OS independent sync platform, commonly followed by all manufacturers and developers. Apple devices refers to Activesync as "Exchange Server"
When you migrate to ActiveSync, your current Outlook and IMAP settings on your devices remain active and intact. 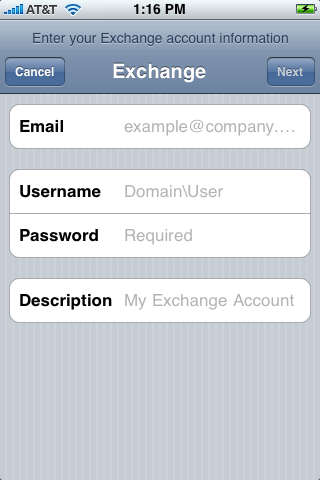 Apple devices use "Exchange Server" mode to configure Activesync account. Mails and Folders in Outlook will show up in the Exchange account will create a separate mail account. Existing IMAP will continue unaffected until you remove them from the device. 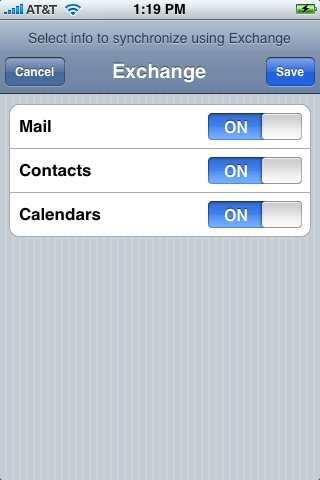 Contact, Calendar and Task from Outlook, will sync to the default Calendar, Contact, Task locations on the Mobile device. To avoid data duplication, update contacts, calendar, task entries on Mobile devices with Outlook for once, and then sync them all back via ActiveSync. 1. From the home screen, choose "Settings", then "Mail, Contacts, Calendars", then "Add Account..." You will see an Exchange option at the top of the list. 2. Select Microsoft Exchange option and you will be asked to provide your email address, Username and Password, and a description of the account. 3. 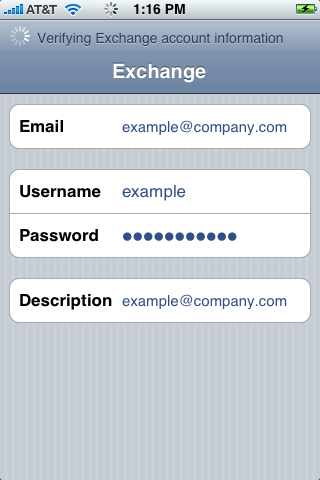 Enter Email ID, User name and password and wait for auto discovery. When it fails, it will open the manual configuration. 4. Enter remaining account and server details. These will be emailed to you by Triosync. 6. 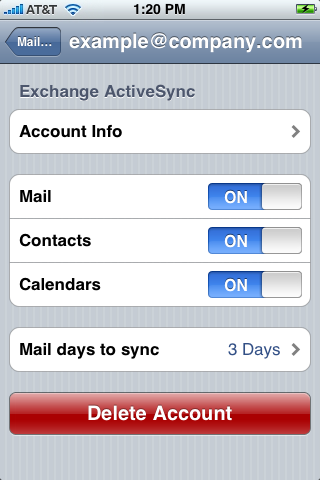 Set the number of days Mail to sync as well as other options. Allow data to sync from the server.